During my mid-20s I opened up both a stock trading account & a retirement account. I made a couple of big investing mistakes. Not doing dollar cost averaging. It’s very difficult to time the market, even people who do it for a living get it wrong. The ones who do it right have their profits eaten up by capital gains taxes. If I continued to invest during the downturn of the 2008 era, all my portfolio losses would have turned into gains. I also would have a nice sized retirement account at this point relative to my age. $5,000 x 6 years = $30,000. Taking the calculation from The Millionaire Next Door into account age 30 x $30k / 10 = $90k is how much I should have in retirement at my current age. Self-reliance. Letting the naivety of my 20s cloud my judgement in business. Thinking things would automatically fix themselves if I waited it out long enough. People make promises all the time and don’t keep it. Just because your boss is an incredible business person who has made a success in his career doesn’t mean he will make any efforts to keep you around in his business, or try to develop you into the kind of employee he / she wants to keep around. Work as a team but at the same time looking out for one’s own self-interests is key. Eggs in one basket. I got burned way too many times not thinking about the level of risk associated with my investments. Put a few Gs in a penny stock, lost over 50% of it. Kept sending more and more money into it, basically throwing good money after bad. Today my 401k is valued at $2300. Even though my student loans are a top priority, I also realize the time value of money and the importance of contributing in my 401k up until the match. So not including the match assuming an 8% average rate of return for my current balance up until retirement age (let’s just say 65). That $2300 will be worth $34,006.29. This doesn’t include taxes on the yields, but still…not chump change. 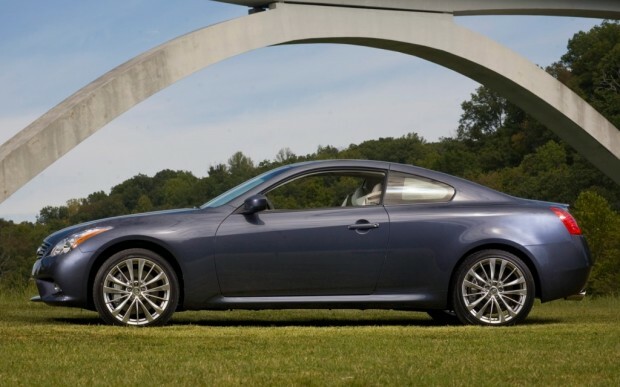 One of the cars I’ve been eyeing as a replacement for my current vehicle is a new 2013 Infiniti G37 . 328 hp, RWD, VQ37 engine, 7 speed automatic transmission with paddle shifters. 0-60 in about 5.4 seconds. If I were to buy a new one for $30k, using the above calculations with a lump sum investment I’d be missing out on $444,000 of retirement income. How does that shiny new car sound now?